The Public Information Office is tasked with communicating the city’s message to the public and the media. The department is responsible for producing the annual State of the City Address presentation, maintaining Duncanville TV and televising City Council Meetings, producing the city’s newsletter, disseminating news releases and conducting interviews with the media, and providing oversight of the city’s website. 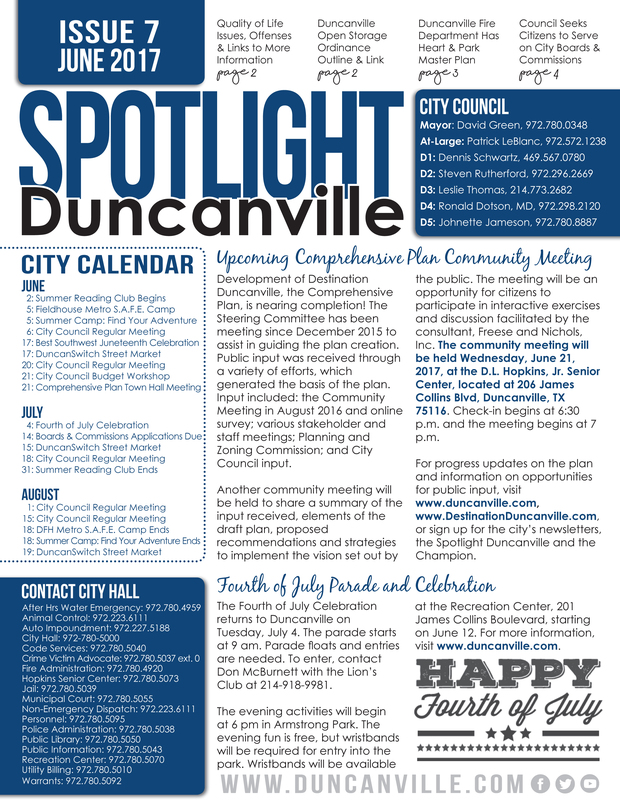 Contact the Public Information Office for general questions about the City of Duncanville. Do you want to Report a Concern? Click here to submit your concern. Error: Error validating access token: Session has expired on Saturday, 09-Feb-19 14:28:37 PST. The current time is Friday, 19-Apr-19 19:20:47 PDT. 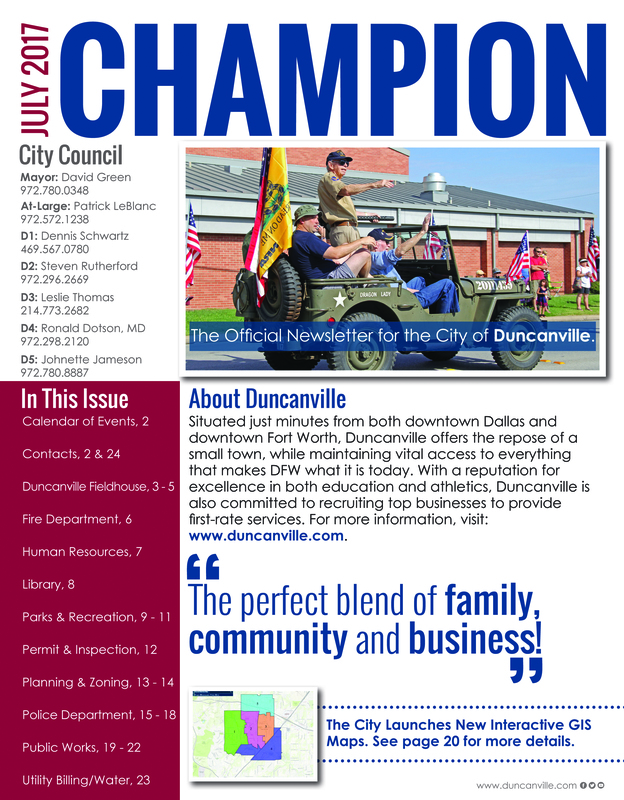 The official newsletter of the City of Duncanville is available online the first day of the month.